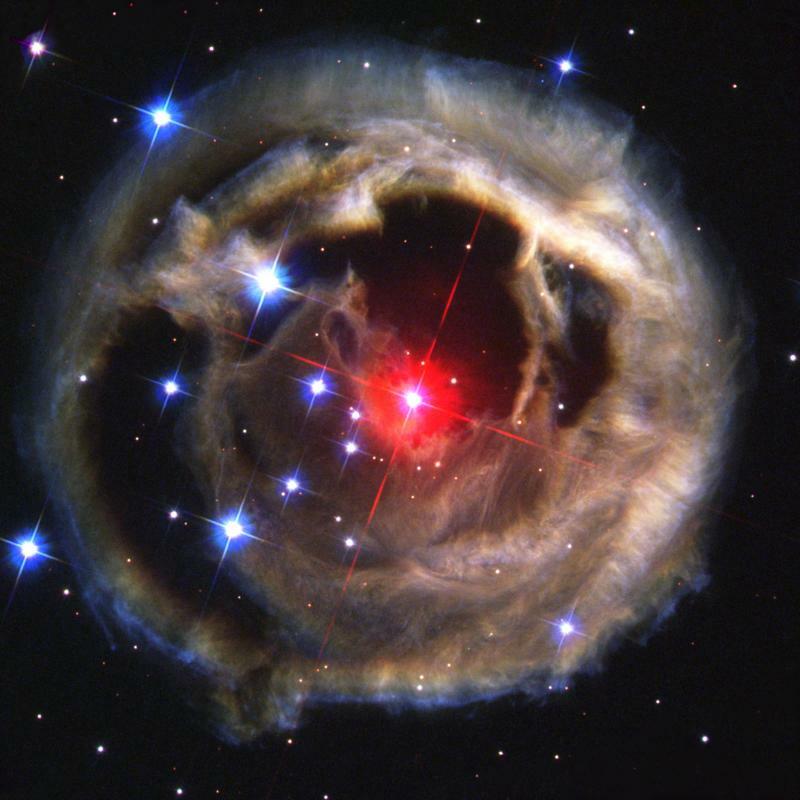 A red nova from 2002. Credit: Hubble Space Telescope. NASA and the Hubble Heritage Team (STScI/AURA). A dim binary star named KIC 9832227 is behaving exactly as expected if it is about to explode as a "red nova." If that happens, in 2022 or so it could shine as brightly as the North Star. The two stars were in a so-called contact binary, orbiting so closely that they touched. If Earth circled a contact binary, our Sun would look like a fiery peanut. Despite their exotic appearance, contact binaries are common, with nearly 40,000 known in our Galaxy. Now new observations show that one, named KIC 9832227, could be about to explode as a red nova. The binary is roughly 1700 light-years from Earth in the constellation Cygnus. The two stars whirl around each other every 11 hours. In late 2015, astronomers in Bulgaria observed the star with a 30-centimetre telescope and found that the star's period is still shrinking at an ever-faster clip. “A stellar merger is a real possibility,” says Alexander Kurtenkov of the University of Sofia. Update (September 7, 2018): New work indicates the predicted merger will NOT occur and the star will NOT explode.